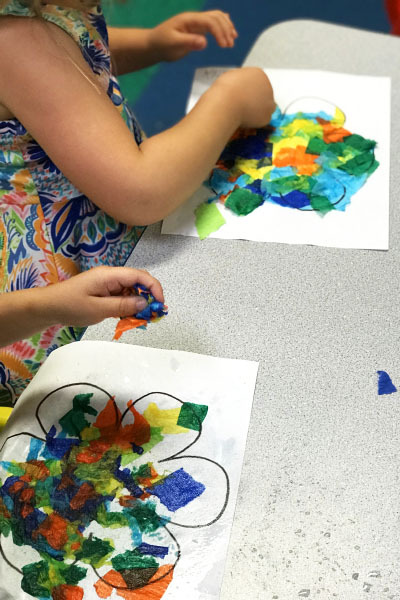 From watercolor to food coloring, there are many ways to brighten an art project with color dye.. but have you tried crepe paper as a dye tool? 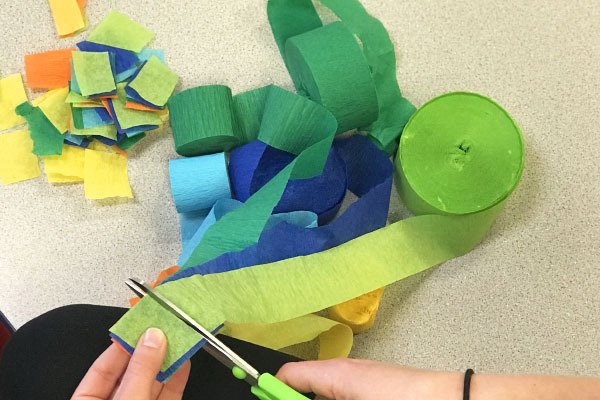 Begin by cutting an assortment of small pieces of colored crepe paper to be placed on white paper. The next step is to simply add water! 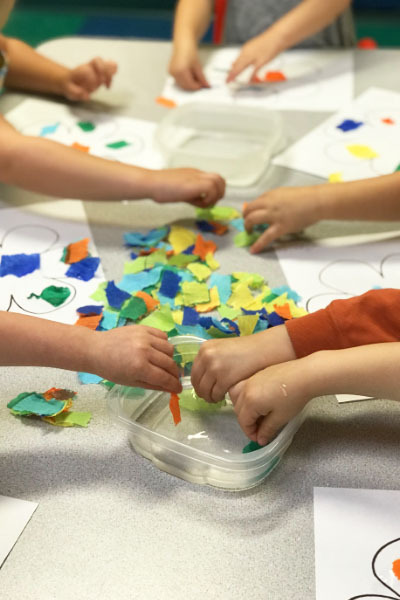 We have seen where others have been successful using a spray bottle to wet the tiles once they have been placed in their desired positions, but we have found that letting our littles dip the pieces before placement was easiest for them. 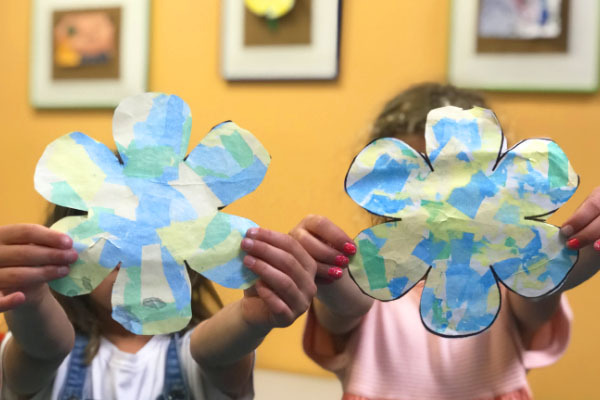 We were using this method for one of our Mother’s Day art projects, so we decided to print a flower outline onto the paper for the kids to place their crepe paper tiles into. 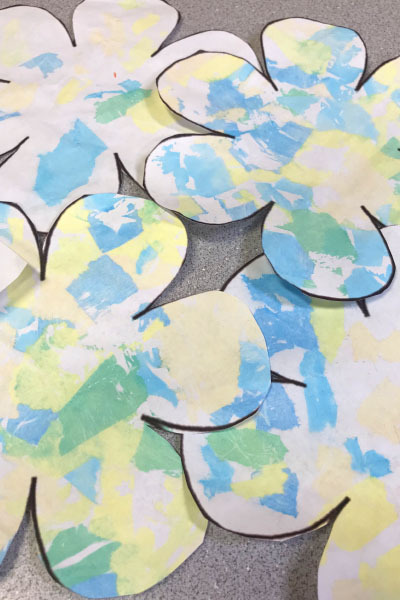 Allow the arranged crepe paper pieces to work their magic by setting them out to dry completely. When they have completely dried, remove the crepe paper pieces by gently rubbing them off to reveal a stained masterpiece underneath! A simple activity that delivers a beautiful result! 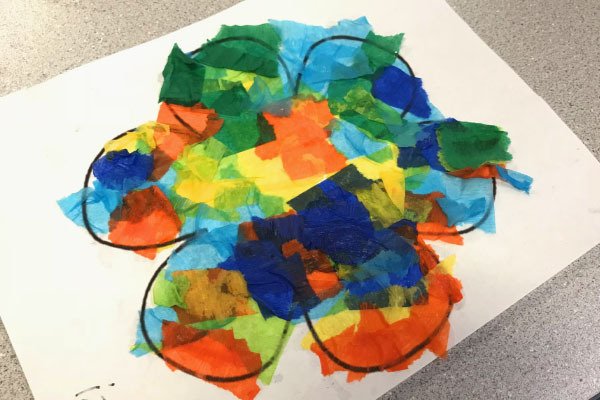 *the darker the color of crepe paper that is used, and the flatter the placement of the crepe paper, the better the results from the dye process.